Four-bedroom ultra cool home on River Road in River Hills. This very cool, 5000+ square foot, four-bedroom home in River Hills was just listed late last week for the very first time. This was built in 1993 and reminds us a lot of a lodge from a national park or maybe Disney's Wilderness Lodge. 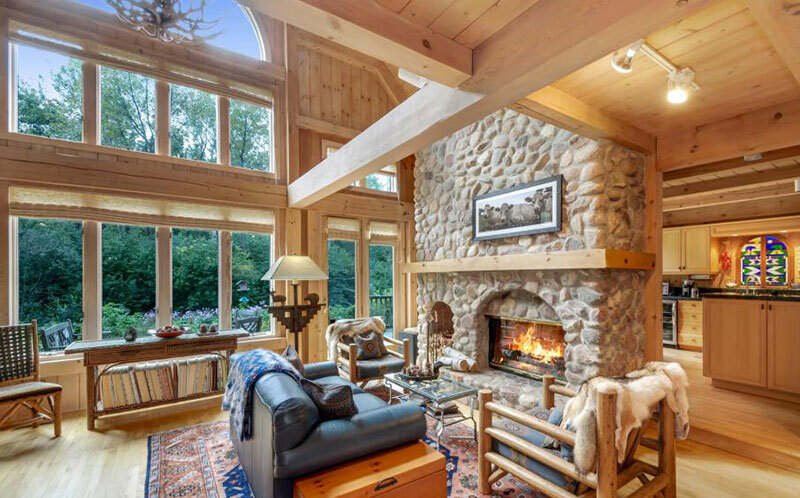 We love all the exposed woodwork and the highlight has got to be the living room with the big fireplace (pictured). We'd be remiss without mentioning the pool and patio in the backyard. There's even a pond - outstanding! Pictures and details via the big link to listing below.